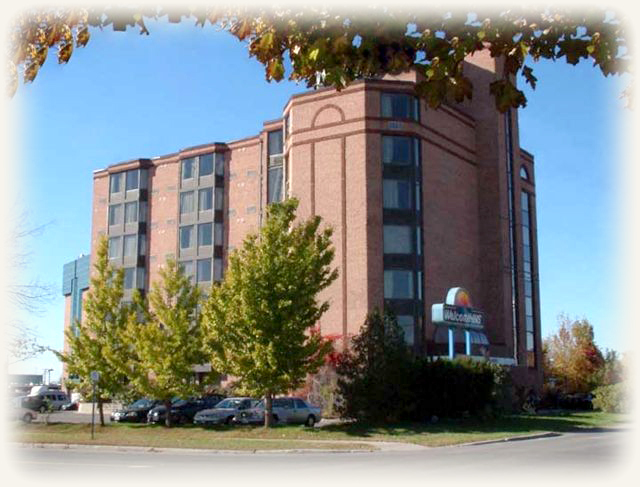 The WelcomINNS Ottawa is located approximately 25 minutes from the Ottawa International Airport, 5 minutes from the VIA Rail station, and a short drive from the Greyhound bus terminal. The WelcomINNS Ottawa is situated only 5 minutes from downtown Ottawa, and conveniently located to major shopping centres, museums and restaurants. Traveling east on HWY 417, exit #115 at St. Laurent Blvd. Turn left onto St. Laurent Blvd., turn right onto Lemieux Street, left onto Labelle Street, then left onto Michael Street. Hotel is on the left. Traveling west on HWY 417, exit #112 at Innes Rd. Turn right onto Innes Rd. then turn left onto Cyrville Rd. Drive north-west 2.5km, turn left onto Michael Street. Hotel is on the right. Traveling west on HWY 174, take St. Laurent Blvd. exit. Take immediate right onto Labelle Street, then left onto Michael Street. Hotel is on the left. Minimum check-in age is 21 years or older, verified with photo ID and valid credit card in the name of occupant. Check in time is 3:00 pm EST and check-out time is 11:00 am EST.